We’d love your help. 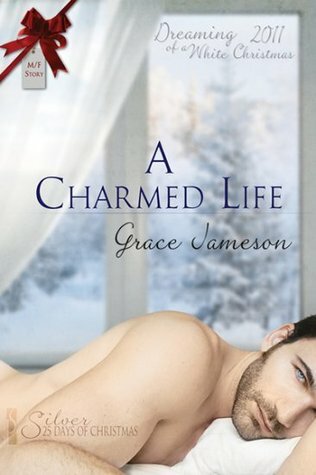 Let us know what’s wrong with this preview of A Charmed Life by Grace Jameson. When Sam gives Bethany a charm bracelet instead of an engagement ring, she realizes he's given her a memorable past--but no future promise. With a renewed commitment after Bethany leaves, Sam is ready to reclaim his charmed life. Bethany and Sam are deeply in love and have lived happily together for the past eight years. Bethany is eager to get married and start a family an When Sam gives Bethany a charm bracelet instead of an engagement ring, she realizes he's given her a memorable past--but no future promise. With a renewed commitment after Bethany leaves, Sam is ready to reclaim his charmed life. Bethany and Sam are deeply in love and have lived happily together for the past eight years. Bethany is eager to get married and start a family and is convinced this is the Christmas when Sam will propose to her. When Bethany opens the jewellery box and finds a beautiful charm bracelet commemorating their life together instead of an engagement ring, she realizes Sam has given her a memorable past--but no promise of a future. The painful conversation that follows reveals they want different things and, devastated, Bethany leaves. To ask other readers questions about A Charmed Life, please sign up. I really liked this story. I could understand Bethany's frustration with Sam. I think it is hard for any couple who are in two different places in their lives. I liked how she was strong enough to stick to her guns. Sam's ah-ha moment is priceless! This is a well written erotica tale with a very sweet HEA. I think I ended up really not liking Bethany. She was one of those people that I actually detest. She didn't talk about what she wanted, but when she didn't get it, she was all upset and took off. For eight years she never talked about marriage. Turns out she's been leaving "hints". But when things didn't work out like she hoped she ran. It all turns out in the end. In otherwords, Sam had to go chase her down, and though he did love her and realized that he wanted to make that commitment, I found I think I ended up really not liking Bethany. She was one of those people that I actually detest. She didn't talk about what she wanted, but when she didn't get it, she was all upset and took off. For eight years she never talked about marriage. Turns out she's been leaving "hints". But when things didn't work out like she hoped she ran. It all turns out in the end. In otherwords, Sam had to go chase her down, and though he did love her and realized that he wanted to make that commitment, I found that her actions tainted the story for me. Grace Jameson has lost herself in the joy of reading since childhood, once completing the entire Nancy Drew series in a summer. While she waits impatiently for Mr. Right to stop and ask for directions, Grace decided to write her own happy endings. When not writing, Grace is a part-time MSW student and a social service worker in Canada.